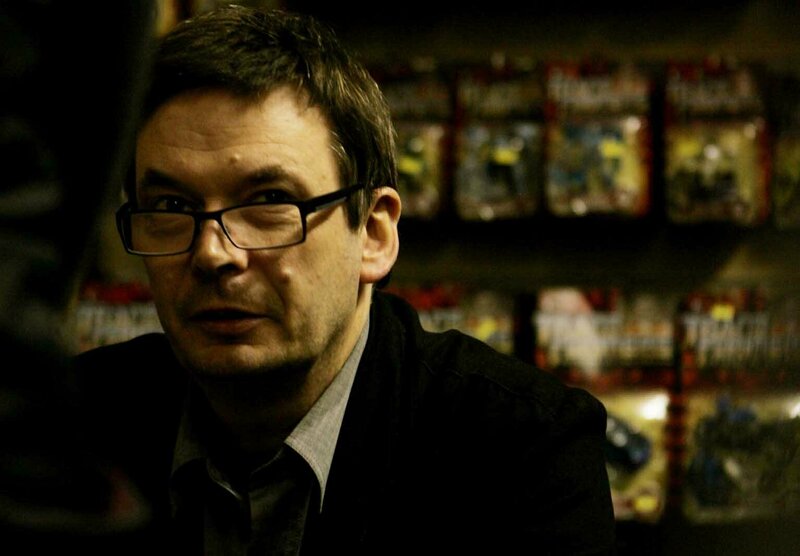 SCOTS crime writer Ian Rankin has vowed to track down yobs who torched FIVE wheelie bins outside his home. Rankin, 49, found the blazing bins in his street in the Merchiston area of Edinburgh on Wednesday morning. Police have described the act as “mindless vandalism” and are appealing for witnesses. But Rankin – whose Rebus detective novels have made him a household name – has decided to put his own crime fighting skills to the test. In a tongue in cheek tweet following the incident Rankin said he was looking for someone with “v long legs” because of the gaps between burnt bins. He also warns the vandals “we will hunt you”. CHATTY drivers in Scotland have had to pay up almost £1.2 million this year for using their mobiles while driving. Scotland’s police forces issued nearly 20,000 statutory notices to careless road users, worth £60 each. The figures, obtained through a Freedom of Information request, show that police in Strathclyde issued by far the most – including two to their own officers. However Andrew Howard, head of road safety at AA, said that more should be done to catch careless drivers. He said: “When you consider that there are millions of drivers in Scotland, and millions of mobile phone users, it’s clear that these fines represent only a fraction of those actually committing the offence. FIREFIGHTERS battled a fierce winter blaze in Edinburgh on Wednesday night. Five fire engines were called to a first floor flat engulfed in flames at Melgund Terrace in the Capital, and fought the blaze for more than an hour. A man was rescued from the flat by firefighters, who carried him to be treated for severe smoke inhalation. He was later taken to Edinburgh Royal Infirmary for treatment. Lothian and Borders Fire Service confirmed that two more residents in the building fled to safety on emergency ladders. They added that the cause of the blaze was unknown. FEARS were growing last night for the safety of a “vulnerable” teenage girl who has gone missing from her home in Edinburgh. Ashleigh Wallace, 18, was last seen by friends in the Restalrig or Lochend area of the city on Boxing Day. Miss Wallace,who is 5’8’’ tall, with long black hair, is from the capital’s Northfield area but is also known to frequent Leith. Of stocky build, Miss Wallace often wears he hair in a ponytail. She has brown eyes. When last seen she was wearing blue trousers, black jacket, yellow cardigan, cream boots and a black scarf. Her boyfriend reported her missing on December 27 however there have been no sightings of her and police are appealing for the public’s help. A spokeswoman for the Lothian and Borders force said: “We are growing increasingly concerned for Ashleigh’s well being, not least because of the current weather conditions. “She is a vulnerable young woman, who does not have a mobile phone and it is not known if she would have any money in her possession. “We would appeal for anyone who may have seen her, or who may know where she is, to contact police as a matter of urgency. POLICE have named the passenger killed in fatal road smash on Sunday morning. Subramaniyam Thavaselvam, 39, died after the Daewoo Leganza he was in collided with a Ford Fiesta on the A701 south of Tweedsmuir just before 10.30am. The 41-year-old driver of the Daewoo suffered chest and stomach injuries, and another man in the car was taken the hospital for observation. The driver of the Fiesta, which was travelling south when it struck the south-bound Daewoo, was uninjured. Police are appealing for witnesses to come forward with information about the smash which killed Mr Thavaselvam, from Middlesex, and also saw two passengers of the Ford Fiesta treated for injuries, including an 11-year-old boy. A Lothian and Borders police spokesperson said: “We are appealing for anyone who was in the area at the time, and who may have witnessed the incident to come forward. 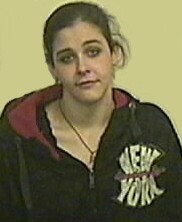 Anyone with information should contact police on 0131 311 3131 or Crimestoppers on 0800 555 111. EDINBURGH’S tram chaos has been blamed for a £400,000 drop in parking ticket revenue. The fall is being put down to motorists avoiding the congested city centre which has seen months of traffic trouble due to the £545m transport project. Others claim it is a sign that the capital’s notorious attendants are showing more restraint in doling out fines as well as more responsible parking. But the figures have raised fears that small city businesses could lose out to bigger out-of-town firms. Transport bosses at the capital’s council expect the amount of ticket revenue to tumble to around £6.5 million by the end of the financial year – down from £6.9m. The city’s parking attendants issued 224,274 tickets in the 12 months to October – about 18,600 a month down from 20,000 last year. On George Street – Scotland’s most ticketed road – the monthly average plunged by about 750 tickets compared to 2005. POLICE are searching for a woman who has gone missing from her home in Edinburgh. Heather Combe, 59, was last seen by her family on Monday evening, and police say they are growing “concerned” for her welfare. She has not been in contact with her family since, and was last sighted by a member of the public on Tuesday morning. She is described as being 5ft 3-5ins, wearing a red hooded anorak, black walking boots and gloves, with a medium build and short, dyed-blonde hair. A police spokesperson said: “We are growing increasingly concerned for Mrs Combe’s wellbeing, especially given the freezing weather conditions we are experiencing at the moment. Anyone with information should contact Lothian and Borders Police on 0131 311 3131 or Crimestoppers on 0800 555 111.